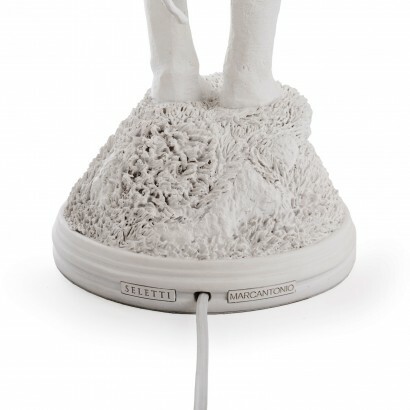 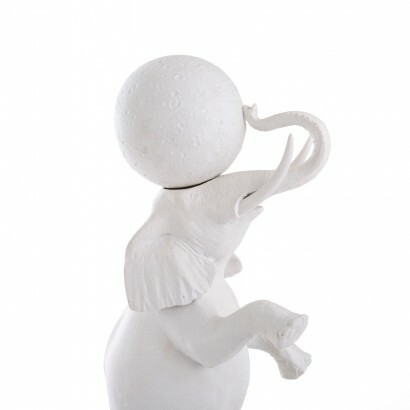 A unique table lamp from Italian designer Marcantonio Raimondi Malerba, this characterful elephant lamp harks back to circus performance in time gone by replacing a circus ball with a glowing moon. 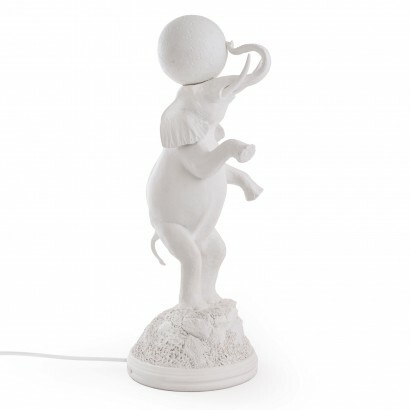 Striking and elegant, this unusual lamp is a real statement piece standing at an impressive 55.5cm high adding kitsch charm to your home and is a must for animal lovers. 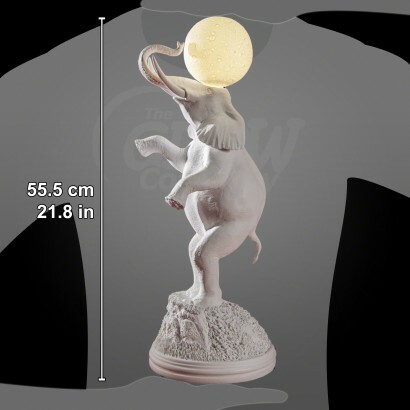 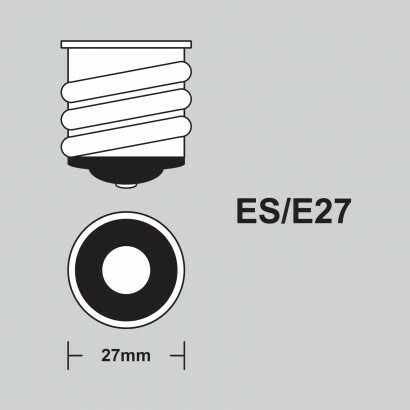 The detailed moon is actually a dimmable LED bulb that shines with a comforting warm white glow gently illuminating the posing elephant and the beautiful detail in the lamp.